Diesel Oxidation Catalyst DOCs | Roadwarrior Inc. DOC Product Information – Roadwarrior Inc. The DOC removes or oxidizes carbon monoxide, unburned hydrocarbons, and the soluble organic fraction (SOF) of diesel particulate emissions. DOCs are also very effective at removing unregulated contaminants from the engine exhaust, such as aldehydes, polyaromatic hydrocarbons, and diesel exhaust odor. In many 2007 and later model year heavy duty trucks, the DOC plays a key role in the thermal management of the DPF. A small amount of fuel is injected in front of the DOC on a period basis, which is then combusted on the DOC and allows the release of heat for the regeneration of soot in the DPF. Roadwarrior parts are direct fit replacements for OEM systems to ensure that installation is as quick and easy as possible. Roadwarrior parts include all necessary ports and attachments for sensors and are designed to operate in the exact same capacity as the original OEM part. 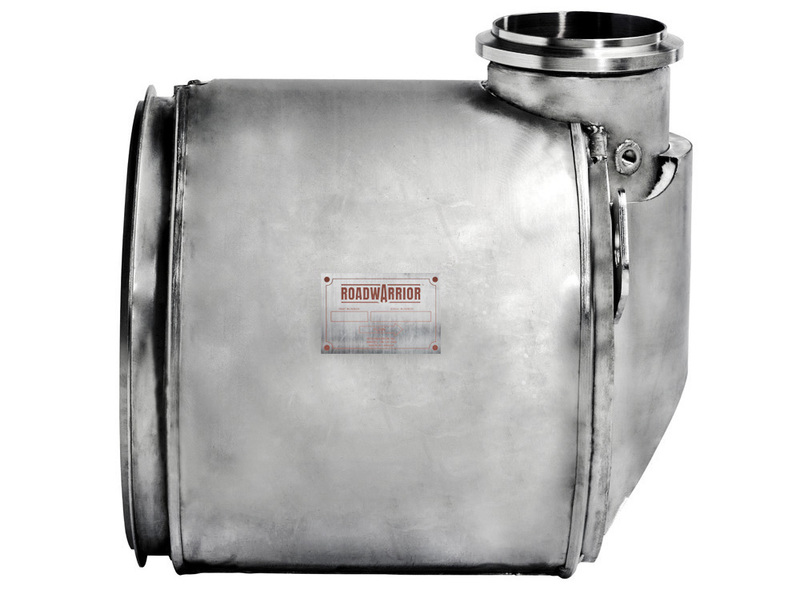 Roadwarrior DPFs are tested against the OEM to ensure that backpressure, temperature, and the regeneration performance meets, or exceeds, the standards set out by the original manufacturer. Roadwarrior DPFs and DOCs are always newly built, never re manufactured or re-conditioned. All Roadwarrior parts are backed with a one-year warranty. All Roadwarrior parts are constructed in North America, by Roadwarrior Inc., using high quality materials to ensure a long service life. Roadwarrior DPFs and DOCs are coated with platinum-group metals (PGMs) platinum or palladium to match the catalytic activity level of the OEM component. A PGM coated DPF acts as a hydrocarbon slip catalyst, burning any excess fuel present during active regeneration. A DPF with a PGM coating will also have a lower passive regeneration temperature which can extend the time between active regenerations, saving on an additional fuel costs. With over 140 designs, and counting, Roadwarrior has the largest selection of aftermarket DPFs and DOCs on the market. If your vehicle’s emission control system needs replacement, parts are in stock and available for same day shipment from one of our five convenient warehouses in North America.